I had the pleasure of attending “The State of Special Operations Forces” presented by Admiral Eric T. Olson, 8th & current Commander, U.S. Special Operations Command at the Centre Club in Tampa, Florida. One of the questions that was asked centered around how they were dealing with Social Media and Cyber Attacks. He indicated that Cyber Attacks are a problem that they are not as equipped to handle. 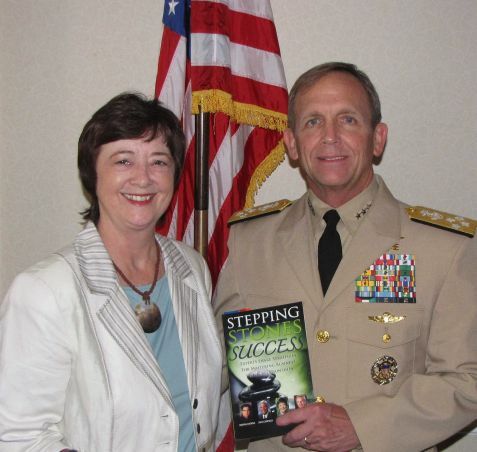 I gave Admiral Olson an autographed copy of my book, Stepping Stones to Success (which was co-authored with Deepak Chopra, Jack Canfield and Dr. Denis Waitley) and I had the opportunity to have my picture taken with him.